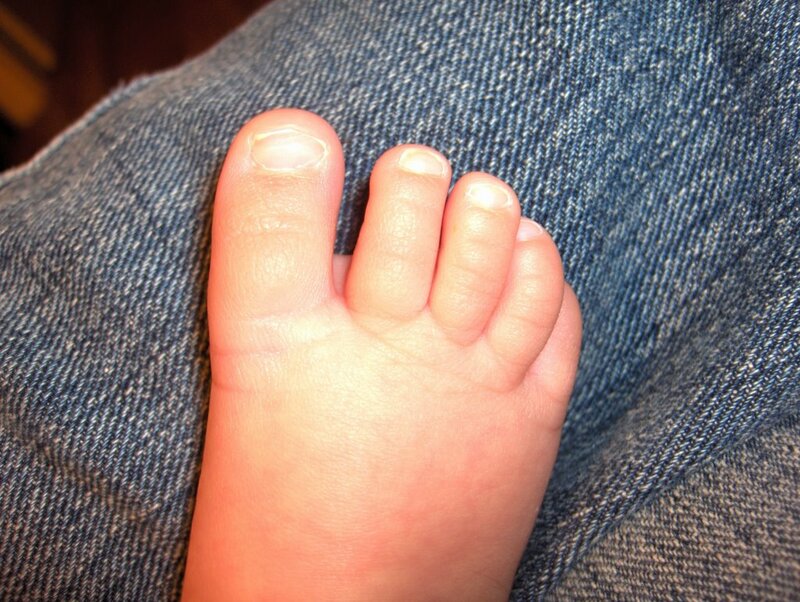 Ok now you're going to make me go and research my hubby's feet with our son's feet. Very Clever! By the way. Do you have postings of your family on your site? Just wondering. Thanks. MNG - it's time to stop clipping those nails so short. You won't want to show off those plantigrades with a nail fungus. But no! My feet are JUST AS plantigrade as yours. So now, theoretically, we can type you by your plantigraded-ness, putting such peoples in isolation for scientific prodding and study assuring that propogation will no occur and rendering your master class moot. One giant whiff of a conspiracy, and foot. So you're evolutionarily predisposed to wearing flip-flops. Big whoop. So the next stage of human evolution is more soft and pink? I had hoped that we had a better future than that. As if I'm one to talk...my feet are so wide it looks like I forgot to take my shoes out of the box. Well, it was a long time coming, but I think it is finally official -- you, my friend, have lost it. Ya gotta quit biting those toenails! How'd you like to have webbed toes and never be able to wear those cute little toe-socks?! 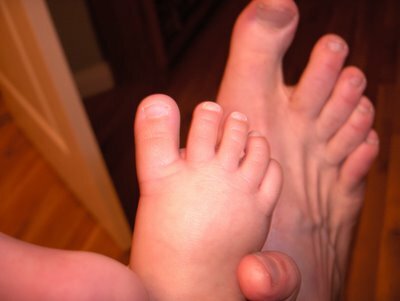 Baby feet, adult feet- ewwwwwwwww! TIME FOR A PEDICURE!. No, really. ah ha, a father daughter activity - go get mani - -pedis. 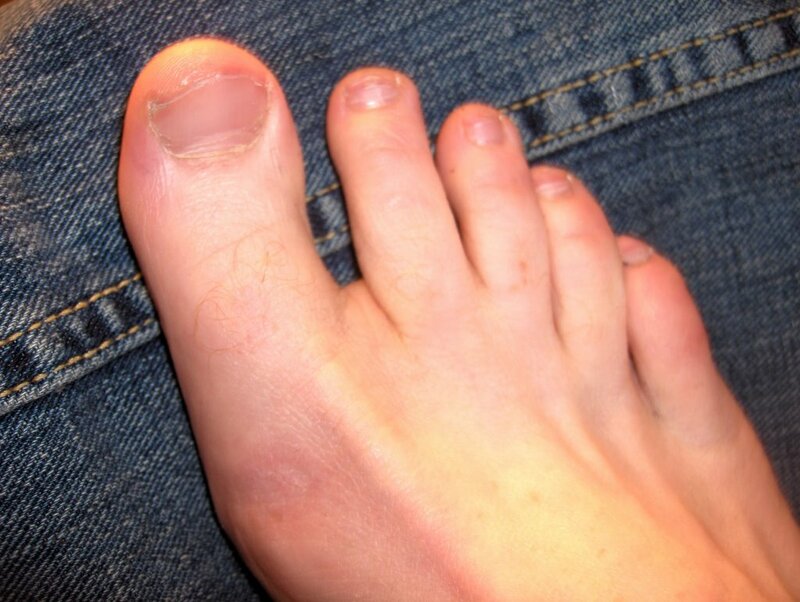 it is all the rage, and you could do something about that big toe nail.